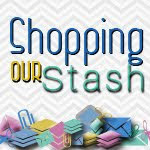 Thanks for stopping by today to check out the latest SHOPPING OUR STASH challenge. This week our theme is Side by Side - we want you to make a step card. I don't make a lot of step cards, I should, I really like them! Nearly everything on my card came from a March 2016 kit, so everything has been in my stash for at least a year! While you are there, please share some crafty loves with the rest of the crew and our guest designer. I just adore everything about this card... all the pieces, the way you assembled all the pieces... colors, paper... It is so well balanced, and chock-full of stuff! The steps just make the layers even more, uh, layer-y! 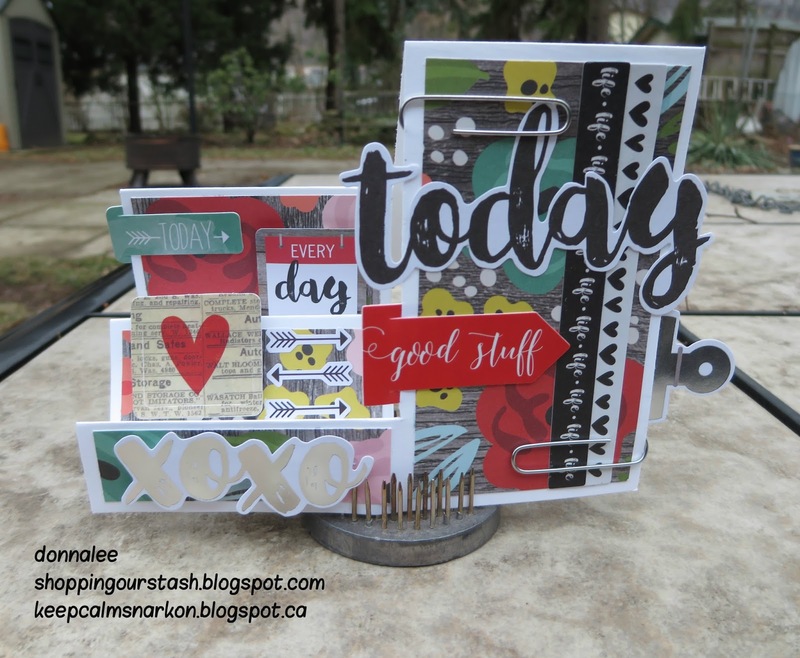 Wow a collage step card, fantastic job on it!!! Awesome, love all of the different papers and details, fabulously graphic and colorful. Awesome take on the challenge theme. OMGee! You were channeling Lauren with this brilliant collaged step card! Nicely done!! !